Provides body odor and wetness protection that won't let you down. Unique body heat activated formula provides long-lasting protection all day long. Instantly responds to changes in body temperature to help you stay dry as you do more. Works well for outdoor sports and workouts. 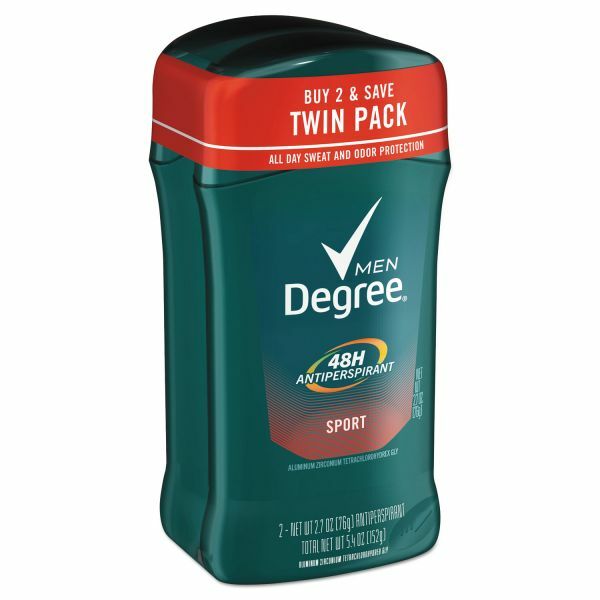 Degree Men Dry Protection Antiperspirant, Sport Scent, 2.7 oz, 6/Carton - Provides powerful and long-lasting body odor and wetness protection that won't let you down. Unique body heat activated formula provides long-lasting protection all day long. Instantly responds to changes in body temperature to help you stay dry as you do more. Works well for outdoor sports and workouts.